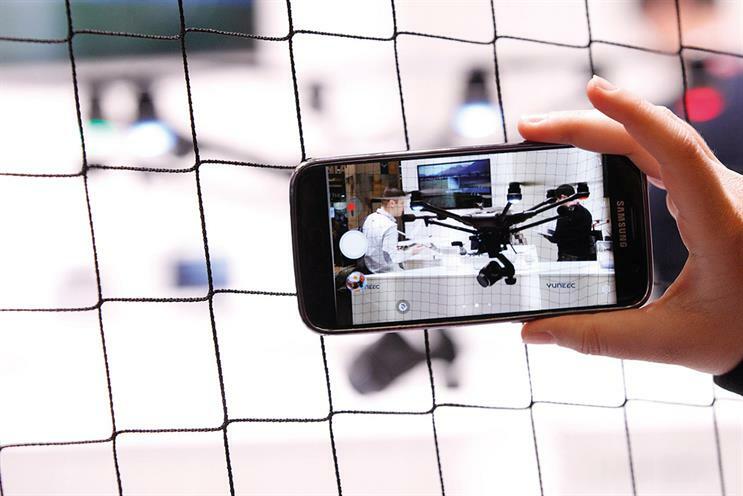 AI-powered phones and 5G connectivity threw open the doors to new ways of advertising for brands at Mobile World Congress this year. The Samsung Galaxy S9, which launched at the start of the event, offered nothing new visually, but did come with a neural-image-processing chipset that may "outsmart" the ones launched by Huawei and Google. Powered by AI, these chipsets turn phones into imaging machines that do not rely on connectivity or the phone’s core processor. "It moves the world away from AI via cloud computing and into AI via our mobile," Miguel Alvarez, director of technology services at AnalogFolk, said, describing the innovation as an industry game-changer. As a result, augmented reality, image recognition and virtual reality will all run more smoothly. The process will also be more secure, because it will operate within the user’s phone, which will no longer have to send data back to the cloud. In addition, Qualcomm’s Snapdragon 700 processors, which were also launched at the event, will turn even lower-priced smartphones into AI-powered devices, making immersive experiences accessible to more people. The other big topic at MWC this year was the implementation of 5G, with Ericsson chief executive Börje Ekholm declaring that the new mobile network generation was "open for business". Samsung, meanwhile, announced it had received US FCC approval to enable it to allow commercial venues, such as stadiums, to broadcast wi-fi over 5G; Huawei launched a 5G chipset; and ZTE promised to launch 5G smartphones by the end of the year. The super-fast connectivity afforded by 5G will improve user experience on mobile and allow brands to deliver richer engagement, according to Libby Robinson, EMEA managing director, M&C Saatchi Mobile. However, Chris Colborn, global chief design and innovation officer for R/GA, pointed out that brands need to remember "it’s never the hardware, it’s not even the software, it’s the experience you can create with the combination of the two that matters, increasingly with AI as an added layer". Meanwhile, Cher Wang, co-founder and chairwoman of HTC, predicted that, as 5G connectivity and AI chipsets become the norm, the smartphone as we know it may disappear. "In the future the screen may be taken away and display will be via VR or directly projected on to our eyes," she added.